Harrod Horticultural are offering an extra 10% discount customers ordering through links from this blog on Extra Value Saver Packs - Harrod Horticultural's Extra Value Saver Packs underline the importance of protecting fruit and vegetable crops and ornamental plants from the army of pests and diseases and of course the temperamental weather. They have introduced the saver packs to help gardeners stock up on invaluable netting, fabrics and fleece (you can never have too much of any of them!) and with a wide variety of available sizes - 5, 10, 25, 50 and 100m packs where stated - all at attractive prices, there's no better way to make sure you're covered up in the garden this year! To see exactly what is on offer click here Quote offer code GLNETS at the checkout. 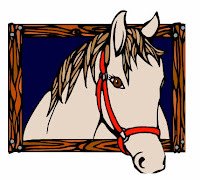 A horse owner in Batley is offering free horse manure which he will deliver also free of charge within a sensible distance of his location. He tells me that the horses have until recently been bedded down on shavings not straw but he does have some manure that is very well rotted (ruby red in colour) with quite a high worm content. He has facilities to load and deliver by skip vehicle and deliver in say 3 ton loads. His horses are now bedding on cardboard that is produced by his firm in Batley. Local farmers say it is ideal to put back onto the land and rots far more quickly than the shavings. Currently there is about 8 tons of manure available. The fields the horses graze in have had nothing more than harrow & rolling for a very long time. The hayledge used is from a local farmer in Hartshead, Liversedge who also runs a dairy herd so again no herbicides have been used. If anyone is interested the email contact is gwyndavies.co.uk@btconnect.com just pop the word manure in the subject line. Correspondence from our MEP Linda McAvan on this subject can be read here. Must admit it makes pretty heavy reading and I'm not sure how it will affect the use of products such as aminopyralid. If anyone battles through the information and has a clear understanding then post a comment. 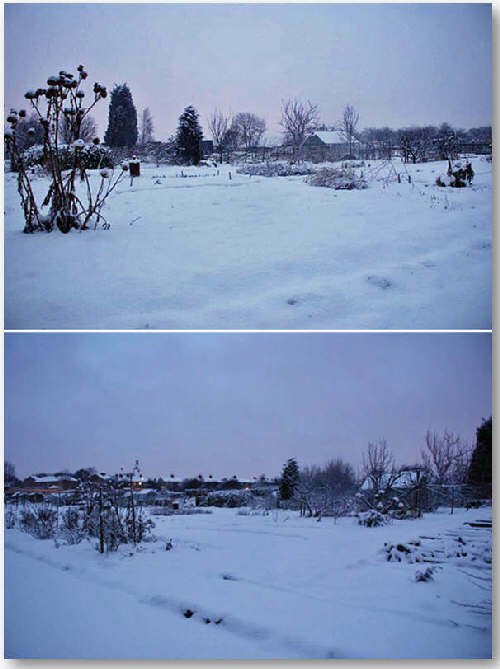 February diary - we actually managed to do some allotmenting! We managed to put in some time on the allotment plot, mainly belatedly tidying up and a bit of harvesting. At least the ground wasn’t as soggy as it has been and we were able to stand in one spot without sinking. 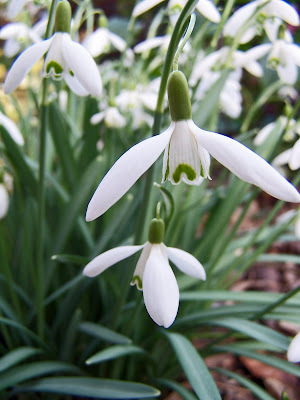 The photo above was taken in my garden and was chosen because I have been rather obsessed with snowdrops this month, mainly due to the fact that I could watch their progress from a house window. They are also the flower that to me signals the end of winter is approaching. Last night we watched the Natural World programme A Farm for the Future. 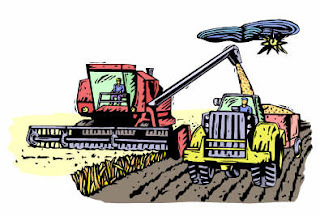 It drew attention to the fact that farming in this country is highly reliant on fossil fuels and that, as the supply of fossil fuel was being depleted, in order to sustain food production, farming methods would have to change. It deduced that in the future more people would have to become involved in the production of food and mentioned that in this was a role for allotments and gardeners growing their own. It was only a short mention at the end of the programme but was an acknowledgement of what people who grow their own food have known for a long time. The problem is that modern housing has little space to enable the creation of vegetable patches and many houses that did have larger gardens have lost part of the land as building plots. 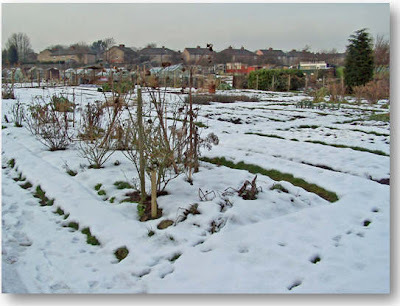 As for more allotments in many areas there already are not enough plots to meet the demand. We know that the National Trust is trying to release some of its land for allotments but there will be a need for a lot more. The programme also drew attention to the need for biodiversity in order to keep the land healthy without having to resort to synthetic fertilisers and pesticides many of which are by-products of fossil fuel processes or oil based. It isn’t just that more people need to grow more food but the need to do this in partnership with nature rather than fighting against it. Again many of us already knew this didn’t we? So was it a goshawk? 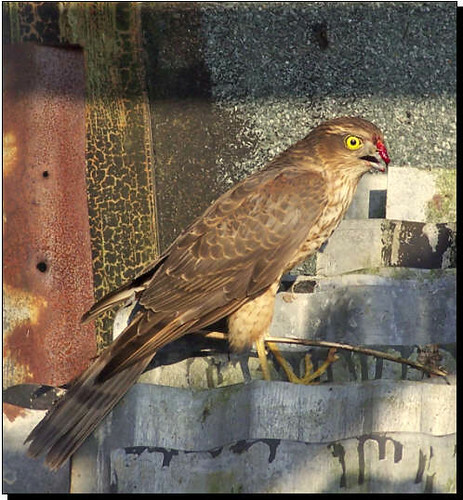 A couple of years ago I wrote an article on the website about what I thought was a sparrowhawk that flew into an empty aviary. John, a recent visitor to our website, who is also a knowledgeable bird watcher thinks that the bird is more likely to have been a goshawk. This is quite exciting as the goshawk is far less common than a sparrowhawk. As a result of John's information I have rewritten the article here. 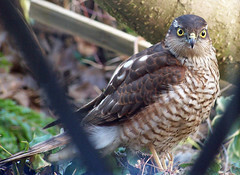 Have a look and see what you think - a sparrowhawk or a goshawk? If you would like to put your name forward for any of the above positions then please email me stating the position you wish to be considered for. The closing date for putting your name forward is Sunday 1st March. I will email you hopefully this week with the date for the AGM and the venue. The above information will be posted on the notice boards this week for those without an email address. * Arranged for the council to reconnect the taps that didn't work (50% of all site taps). * Arranged for skips to be delivered for plot holder’s rubbish. * Had the car parking area cleared of all the stockpiled rubbish (several times!). 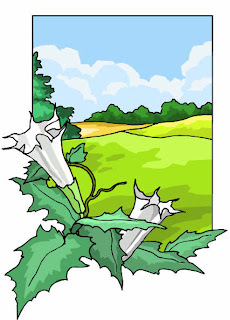 * Cleared and let off most of the derelict plots. * Obtained planning permission for a new steel palisade fence and gates. * Had the main gate replaced. * Had the fence around the main gate replaced. * Tidied up the communal plot. * Created a manure storage bay. * Created a chippings storage bay. * Raising money for the rest of the fence. * Raised awareness of site safety and speeding around the site. In short the association has promoted and represented you, the plot holder’s, in trying to get the council to fulfil it's duties for the betterment of the site as well as improving the site facilities through fund raising and implementing the requests of the majority with the monies raised. Someone's going to be busy this year! It is probably true to say that if it wasn’t for the work of the earthworms then our soil wouldn’t be what it is today. Earthworms are found in most soils other than very sandy or acidic soil. They improve soil aeration and stop it becoming compacted and stagnant. Their tunnels form an extensive system of ventilation shafts and drainage channels in the top nine inches or so of soil. So this year they will really have their work cut out - that is if they haven't all drowned. Just when I thought that I had nothing much to say about this week - I looked out of our window at this! It was then a race to get some stills and video before our visitor flew off. Surprisingly she (I think it is a she) stayed around for quite some time and seemed just as interested in us as we were her! I think it is one of last year's female juveniles. Anybody know better? To view the video and larger image click here for February's diary page. Today the weather seems to have risen a few degrees and it feels positively balmy. Well comparativelt so! Although there is still plenty of snow, it is beginning to melt but will this continue or is there more to come? I'd love to know what makes all the tracks that are evident all over the plots! Alastair one of the plot holders at Green Lane has just emailed these photos of our plots. They were taken one morning last week at 7:45. It's the most I have seen of our plots this week!! Wherever you have turned this week the topic on everyone’s lips has been the white stuff. 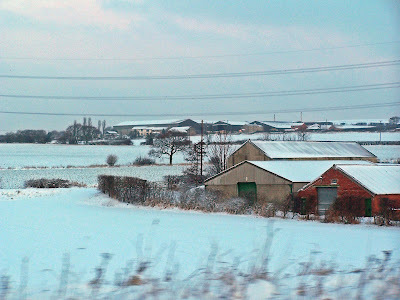 The predicted snow came at the beginning of the week but, in our area, not anything like as much as was predicted. It didn’t seem enough to cause the ensuing chaos but was enough to keep us indoors. The nearest we got to any gardening was to read the gardening magazine that was popped through the letterbox. The editor must have been kicking himself for bad timing as one main article was on climate change. It included the subheadings Longer hotter summers and Warmer shorter winters. I do wonder how many gardeners have taken advice and restyled their gardens to take into account the predicted global warming and what effects our recent weather has had on their cactus and succulent displays. The birds are having a hard time so don't forget to pop out plenty of food and keep thawing the bird's drinking water! Click here for instructions for making fat cakes. Click here for February's diary but don't expect any gardening!! Victoriana Nursery Garden offer discount to visitors to this site. Harrod Horticultural are offering 10% discount, on their new range of raised beds, until the end of February to visitors to my websites. The National Trust is supporting the allotment movement. You may be interested to read this article on the Telegraph website. The Trust, which is one of the biggest landowners in the country, has asked all its properties to identify potential sites for allotments. Just thought in the light of a letter that was sent out by the council to all plot holders on Green Lane, tenants may like to have sight of the tenancy agreement being used by Wakefield at the moment click here to view and also the form that all tenants are required to sign when taking on an allotment in Wakefield click here. Both have been in use for quite a long time now. The screen grab below is of an extract from the agreement form that may be of particular interest - just to clarify something alluded to in the recent letter. January has not been the best of months for many reasons let's hope matters improve in February!! If anyone would like their plot on Green Lane featured in future articles then please let me know.